Red Bull KTM Factory Racing’s Pol Espargaro secured the Austrian factory's first top ten finish of the 2019 season at Termas de Rio Hondo, but there were smiles just as wide in the Red Bull KTM Tech 3 garage after rookie Miguel Oliveira finished in eleventh, just a tenth adrift of the factory rider. 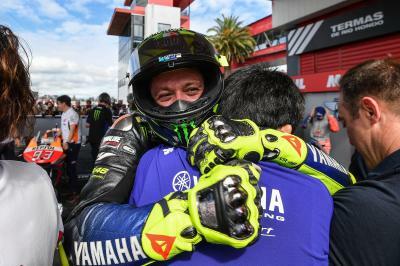 Oliveira put in some people’s performance of the day in Argentina by pushing Espargaro, who is now into his third season aboard the RC16, as closely as he did in only his second premier class race. 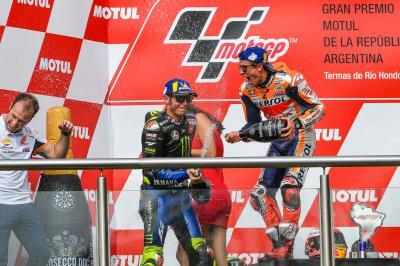 The Portuguese rider's first points of the season saw him leapfrog factory counterpart Johann Zarco in the World Championship standings, whilst moving to within two points of five-time World Champion Jorge Lorenzo (Repsol Honda Team). 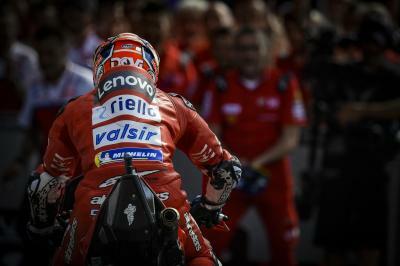 "Everything this weekend was really tight but we managed to control the race. We went with the medium rear choice, which we knew was not going to be perfect in terms of speed, but at least for the consistency of the tyre we knew this was the best option. I felt good on the bike. 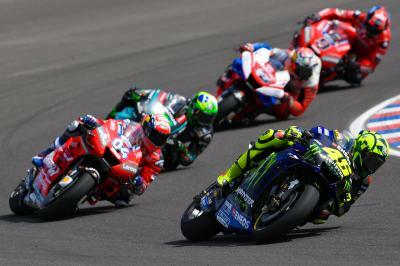 At the end, I was coming closer to Pol and Aleix and yeah, we’re definitely working on a good direction." 2013 Moto2™ World Champion Pol Espargaro was only three tenths of a second away from beating his brother, Aleix (Aprilia Racing Team Gresini), to ninth place and consequently matching KTM’s best result in dry conditions. 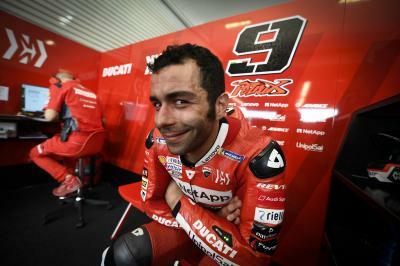 The Spaniard believes the progress they’re making is clear to see: “The bike is getting better. I think in the tracks Qatar, Argentina and now Texas, it's tracks where we’ve struggled these last years. We’ve been a lot of seconds from the top but finally we are closing the gap. Everyone is closing the gap but my feeling is we’re closing more than the others. And we’re going better and better. 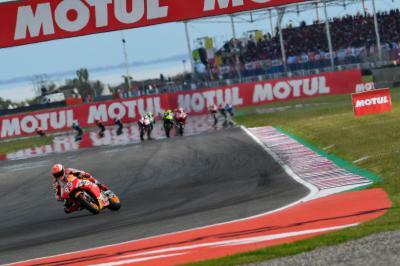 Once the MotoGP™ paddock descends on Europe, starting on May 5 at the Circuito de Jerez – Angel Nieto, Espargaro is confident of pushing towards a MotoGP™ top eight finish and improving on their best result in dry conditions. 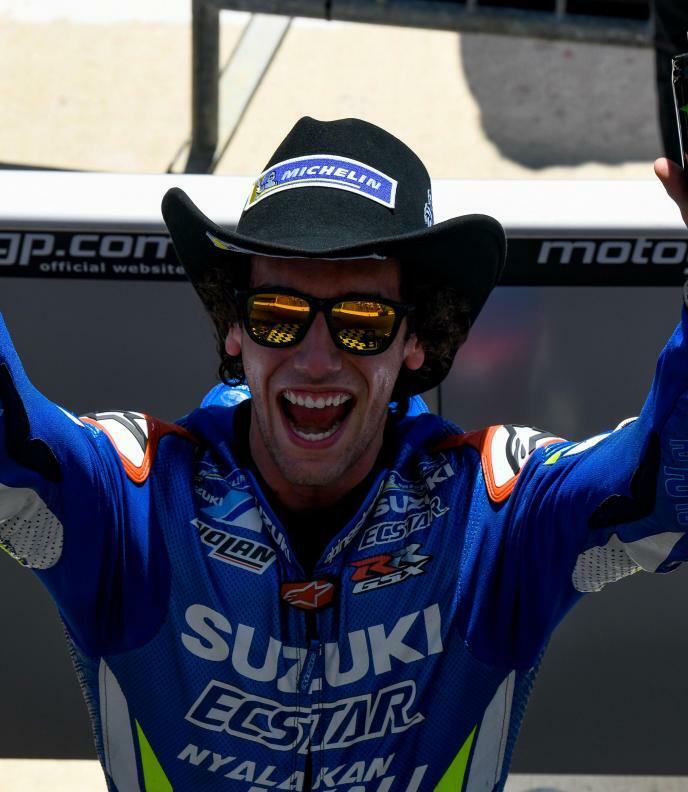 With Espargaro having made his best start to a season since making the switch to KTM, currently tenth in the standings ahead of Monster Energy Yamaha MotoGP’s Maverick Viñales, and Oliveira heading to a track he finished on the podium at last time, don’t discount a KTM charge at the Circuit of the Americas.